12V cigar lighter-style socket rated at 10A with insulated crocodile clips for connecting directly to battery terminal posts. 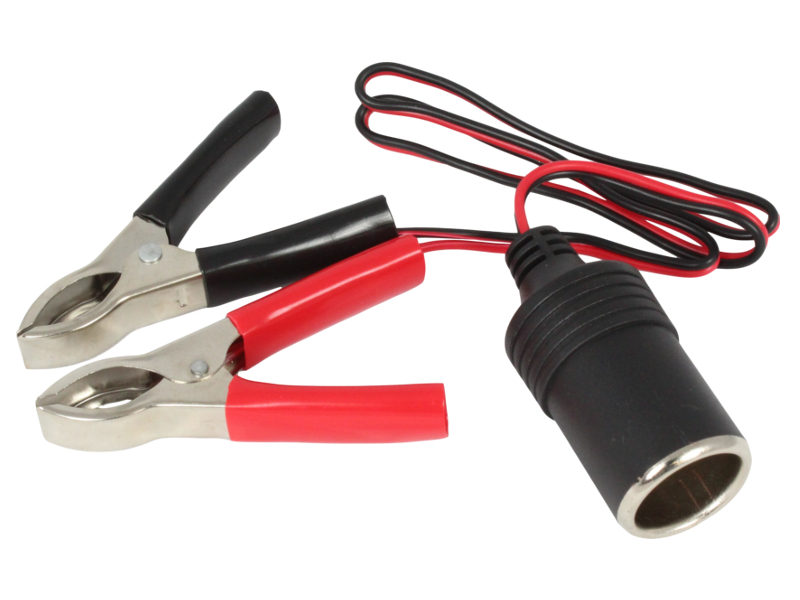 This socket has a 50cm lead and is ideal for providing a temporary 12V power source whilst working on your vehicle (e.g. for a work lamp, tyre inflator, etc.). Sold individually. Not to be used for cigar lighters. Universal Cigar Lighter Plug (Fused) - 8A Max. Seems to be well made compared to some others I looked at. Arrived on time & well packaged.